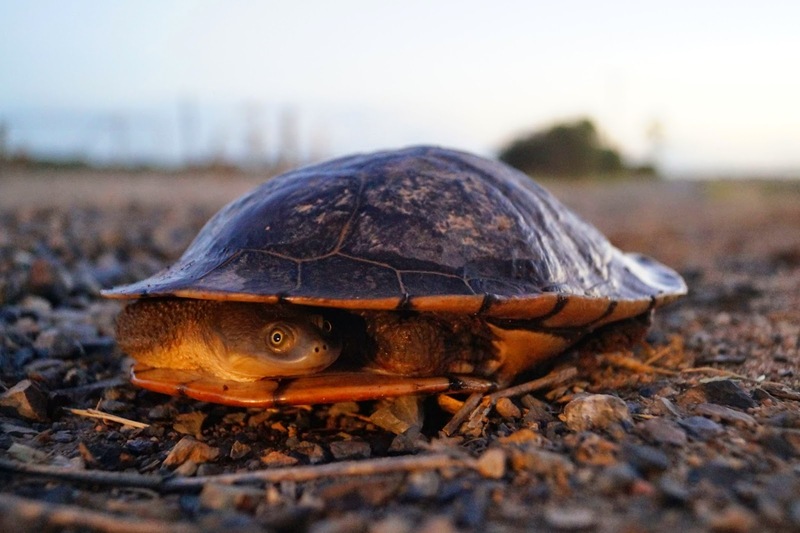 A very shy Murray River Turtle. Great capture, wonderful perspective and a cute little fellow! what a cutie! i love turtles! WOW! You did very well to capture the turtle's eye! He's shy! What a great capture. Aww! What a find! Doesn't look like he appreciated the company, tho.